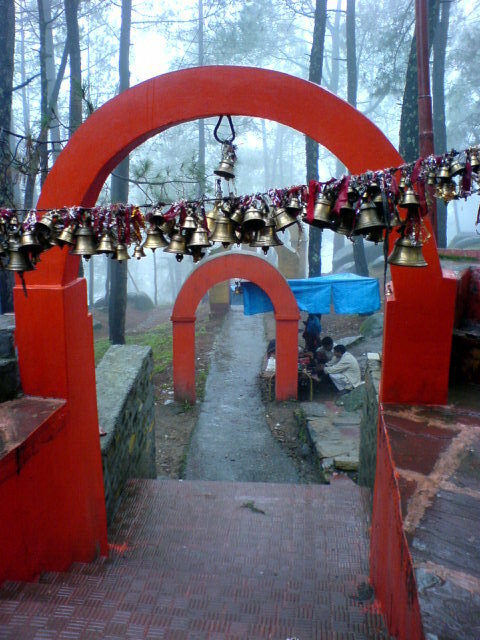 A landmark in Almora, located about 6km from Almora, is dedicated to the local God, Golju. 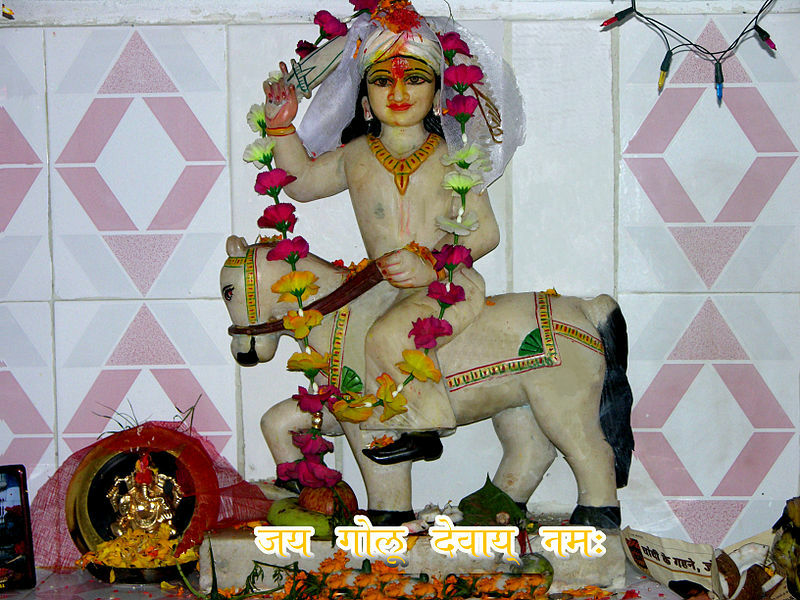 Chitai Temple has the presiding deity Lord Shiva, who is referred here by the name Lord Gollu. Local folks have much faith in this hilltop temple, they often visit here with offerings. The history says the temple was constructed in 12th century by a general belonging to the Chand dynasty. It gained popularity over the centuries for proving helpful to anyone visitng this temple Golu Devta was deified general of Chand dynasty that once ruled Almora. Chitai temple with it's unique collection of brass bells of all sizes, gifted to the temple by devotees since centuries. The temple is characterized by the large number of bells hanging in the premises. These bells are hung by the devotees as offerings making a wish or in thanksgiving on the fulfillment of one’s wish. This is an important religious attraction on tourist map. It is the most sacred temple for the people of Almora and the neighboring villages. The walls of the temple are covered with court stamp papers by those who did not get justice in the court. Around the temple are hanging thousands of bells, which have been donated by those people whose wishes have, been fulfilled. One such ritual is that devotees make petitions at the temple, using stamp papers, to seek desired decree in litigations. On accomplishment of their wish, the deity is shown gratitude by hanging bells or making animal sacrifice. Sacrifices of goats are offered to the deity which was, at one time, a sort-of law court, that decided several pleas received from the distressed people of the region.